No bins means more garbage on Talbot Street. Surprised? Honestly, you cannot make things like this up. 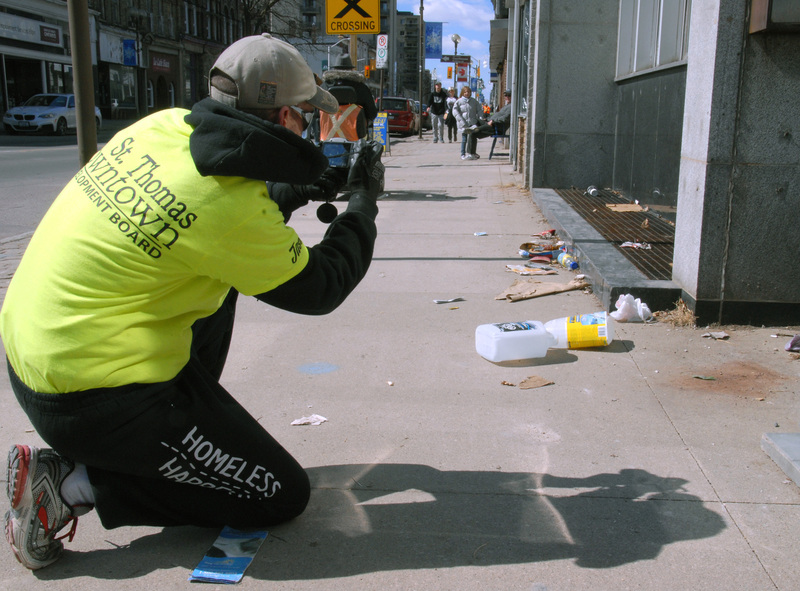 When walking along Talbot St. on Wednesday to take photos of garbage in the downtown core, homeless advocate Jason McComb commented on a study undertaken by the city this winter to determine what happens when you take away most of the garbage cans. Now Jason, employed in the past by the Downtown Development Board — at minimum wage — to clear Talbot St. of garbage each day, doesn’t mince his words but I had to challenge him on the veracity of this so-called study. He stood his ground and that left this corner to call Earl Taylor, DDB chairman, to get the skinny on downtown garbage and why Jason is no longer permitted to pick up trash, even on his own time. “The reason we sort of called him off is when the city took the 40 garbage cans away (along Talbot St.) the first week of January, I was advised they wanted to do a bit of a study to see what the implications were,” advised Taylor. “So I called Jason off,” Taylor continued. “If we pick the garbage up we ruin their study. Now you can obviously see what’s happened. Then they brought back six (garbage cans) and the amount of garbage on the street should hopefully — if they’re out there looking at — show them through their study, it’s a mess. Let’s summarize things to this point. 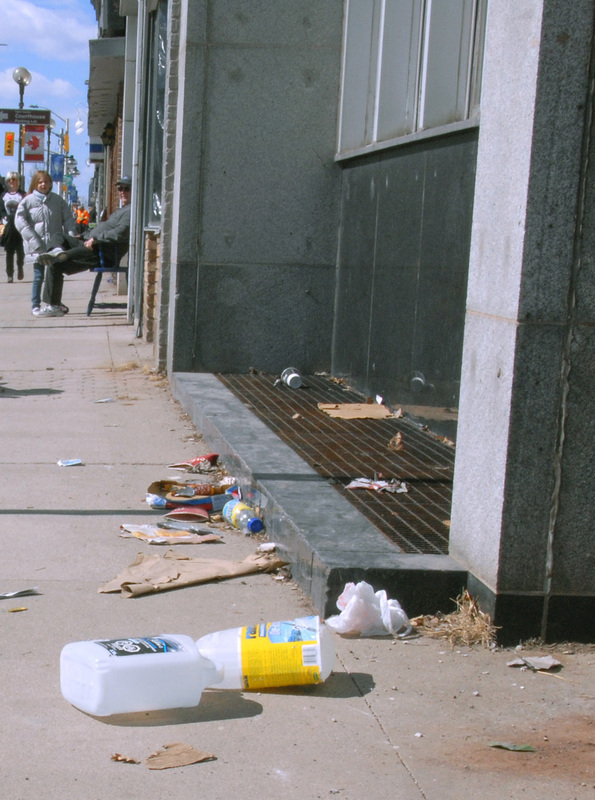 The city’s study should show if there are no garbage cans along a major thoroughfare, the amount of trash on the sidewalk likely will increase. We can only hope, as ratepayers, this exercise in futility is costing nothing more than precious staff time. Back to our discussion with Taylor, who points out the problem in winter is you can’t empty these garbage bins. “When there’s two inches of snow on the ground, they can’t get the doors open and GFL (the city’s waste contractor, Green For Life) is contracted to empty those two times per week, but if they can’t get to them there’s nothing there that says they have to shovel their way to the can. And the city doesn’t do it, so they were left full all last winter. And the plowing of sidewalks is not the issue here, Taylor stressed. All of this as the #stthomasproud campaign is set to launch. It gets better. We’ll continue next week in this corner. It’s budget week at city hall and deliberations kick off with a working session beginning at 4 p.m. Tuesday at the St. Thomas Seniors’ Centre. The meeting is open to the public and if you choose to attend, you may wish to ask the mayor of one of the councillors whether we can expect Ascent (formerly St. Thomas Energy) to deliver on its $500,000 dividend this year. Of late, the utility has either defaulted on payment or delivered only half of that amount. We’re hearing the financial picture over on Edward St. may not be all that rosy. City council will approve the 2015 operating budget and Part 2 capital budget at a special meeting to be held 5 p.m. March 30 at city hall. 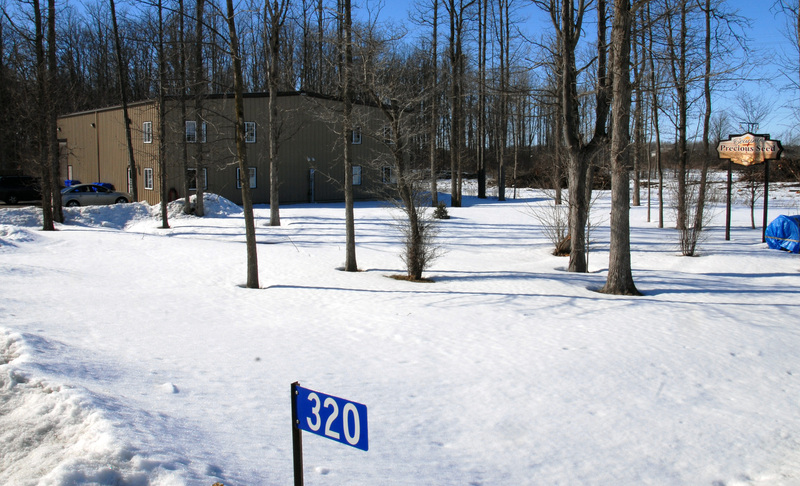 The need for sober second consideration was in order at Monday’s meeting of council as members — by a narrow 4-3 margin — put on hold any action on a request by Bible Baptist Church for tax exemption on their property at 320 Highbury Ave. So how much money are we talking about here? The municipal portion in 2014 was $5,336.45 and the school assessment was $832.30 for a total of $6,168.75. However the private bill put forth at Queen’s Park by MPP Jeff Yurek allows the city to cancel property taxes at the Highbury Ave. site for the years 2008 through 2013 as well. The municipal taxes for that period totals $30,899.64. If council proceeds with the bylaw to allow tax exemption on that property used as a distribution centre for mailout material, it would have to set aside a total of $36,236.09 in the 2015 operating budget. Now you see why some councillors would like to reflect on the implications of the tax exemption bylaw. 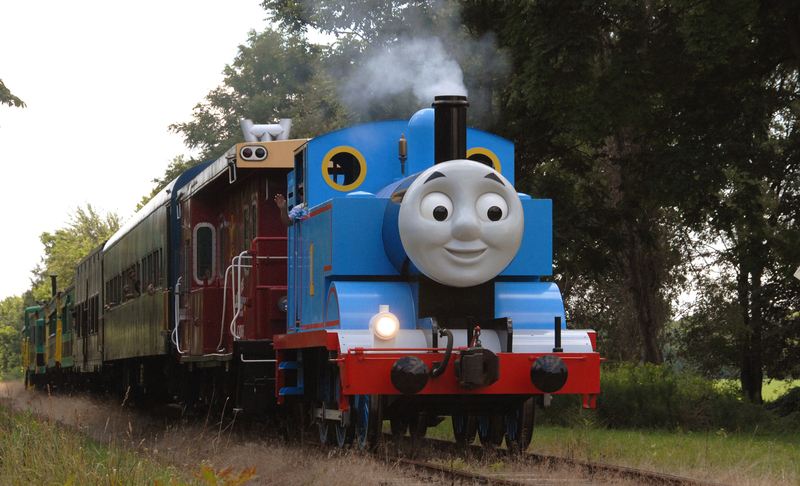 It’s the 11th visit to St. Thomas this July for chuffing Thomas the Tank Engine, but is the iconic visitor from the Isle of Sodor losing traction or being routed away from the city? We see his visit this summer has been reduced to five days from the normal six and that would present a hit in the pocketbook for the city’s chief beneficiary — the Elgin County Railway Museum — as Thomas in the past has attracted in the range of 20,000 visitors over the two weekends. Rumor has it a venue to the east of here may be behind the reduced tenure in St. Thomas. Earl Taylor, Downtown Development Board chairman, on problems with the garbage bins (or lack of) along Talbot St. in the city’s core. This entry was posted in #stthomasproud, 2015 city budget, City of St. Thomas, City Scope, DDB, Tourism and tagged #stthomasproud, 2015 St. Thomas budget, Ascent, Bible Baptist Church, Downtown Development Board, Earl Taylor, Jason McComb, Thomas the Tank Engine. Bookmark the permalink. That has to be one of the stupidest studies ever. What did they think would happen? Also, how about a study where they take away their salary for the winter and see if they can pay their bills or not. Geesh. I’m trying to love my hometown but things like this make me NOT #stthomasproud. At the risk of stating the obvious, the city is not blessed with good management, good leadership or common sense. The prior mayor once stated that the garbage on the streets blew in from Detroit. Perhaps engineering wizard DeWanker is already working on a turbofan to blow it back their way and eliminate the need for garbage cans altogether.